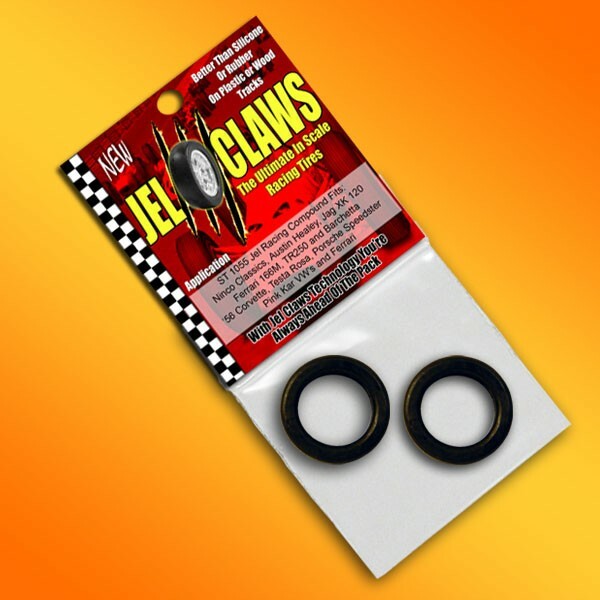 Slot Car Tires Made Exclusively With Jel Racing Compound Fits 1/32 Scale: Ninco Classics, Austin Healy, Ferrari 166M, TR250 & Barchetta, Jaguar XK120, Testa Rosa, Porsche Speedster, 56 Corvette and Pink Kar VW's. The tire that acts like a magnet. Works better than silicone or urethane on plastic or wood tracks. Sold as a Pair.